In the 1980s, there was craft craze known as greenware painting. Basically you bought a plaster cast of a mould and painted it, then it was fired in a professional kiln. 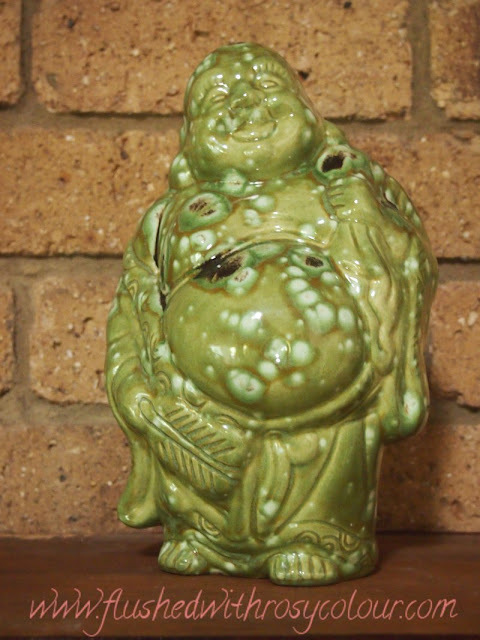 My mother took me with her to classes and we made several things, this green Buddha is one of my favourites.